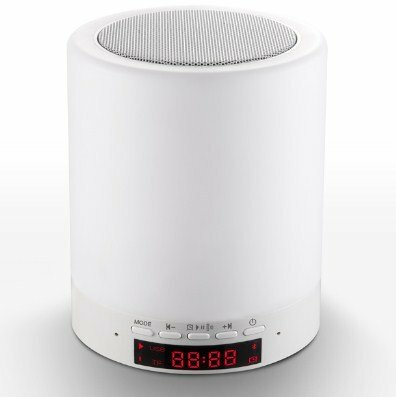 TOUCH SENSOR +BLUETOOTH 4.0 HIFI SPEAKER + DIGITAL ALARM CLOCK + MP3 PLAYER + HANDS FREE CALL: 5 IN 1 Super Multifunctional, compatible with all bluetooth devices. Support flash drive/USB in-put, AUX input. 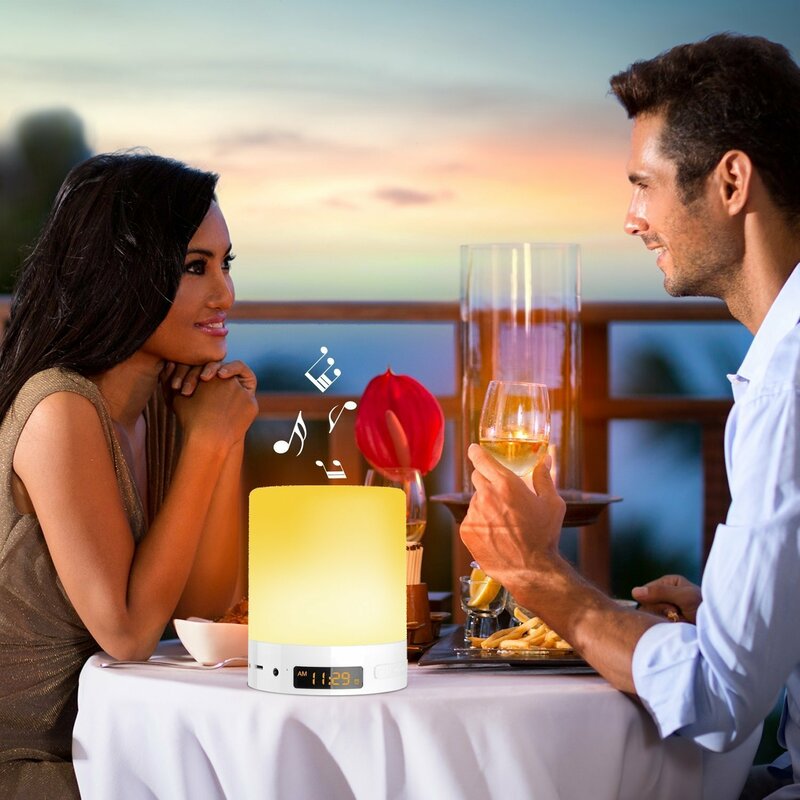 ROMANTIC COLOR + HIGHER SOUND QUALITY : 48 colors optional, light changes color following with the different volume and rhythm. Touch activation and full control of brightness. Higher quality sound with deep foundation (quality 5W sound driver, aptX lossless technology). 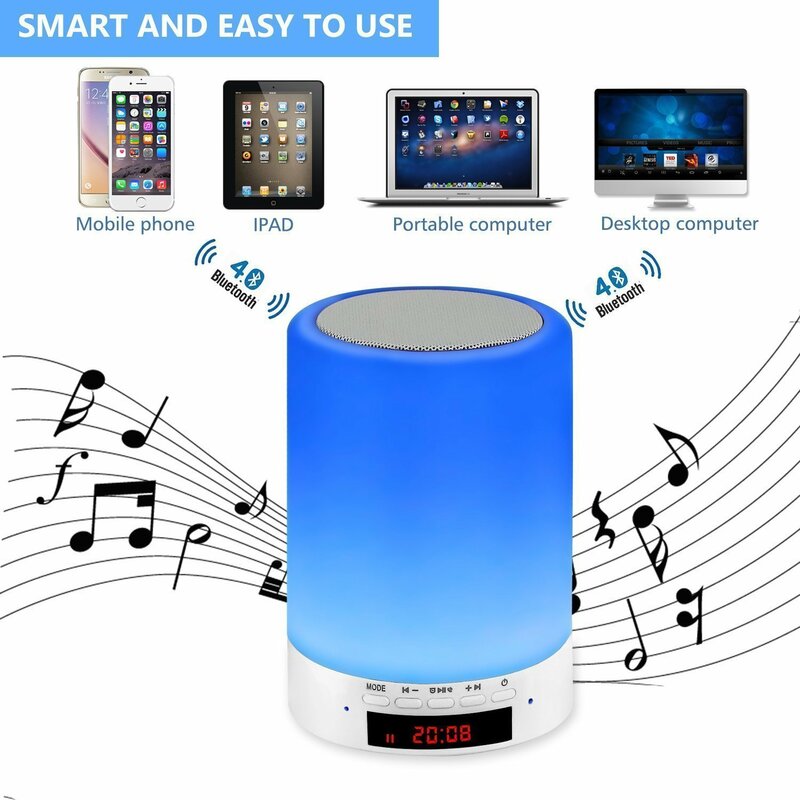 Wonderful for playing music while doing cooking, exercise, camping ,and outdoor activities. 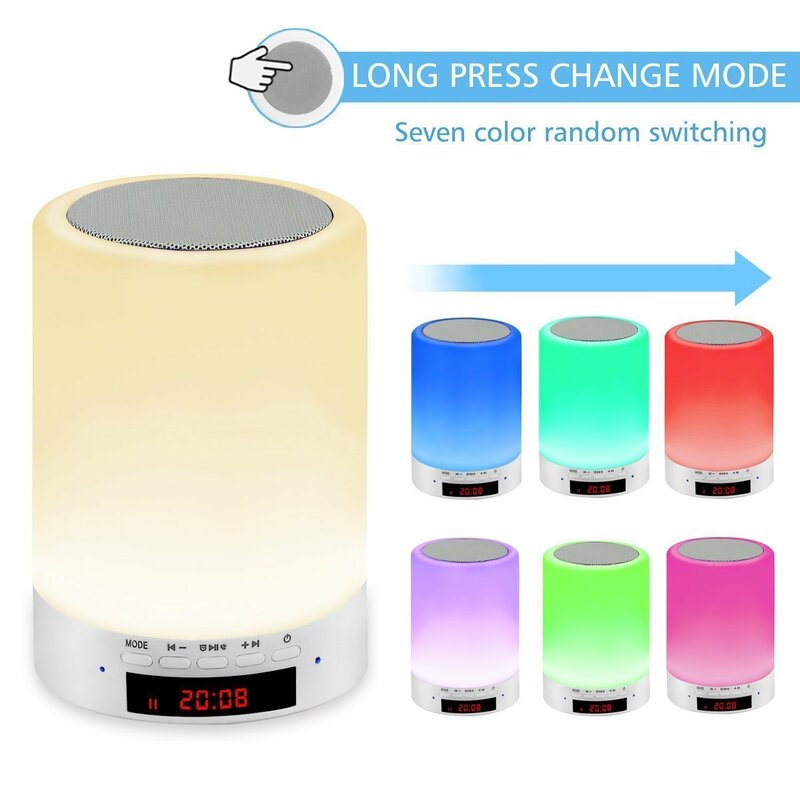 Light Mode: 3-Level brightness white light mode and 7 color changes mode by tapping the speaker inductive ring on the top. Short press to light up and cycling lighting, long press for 3S light off. 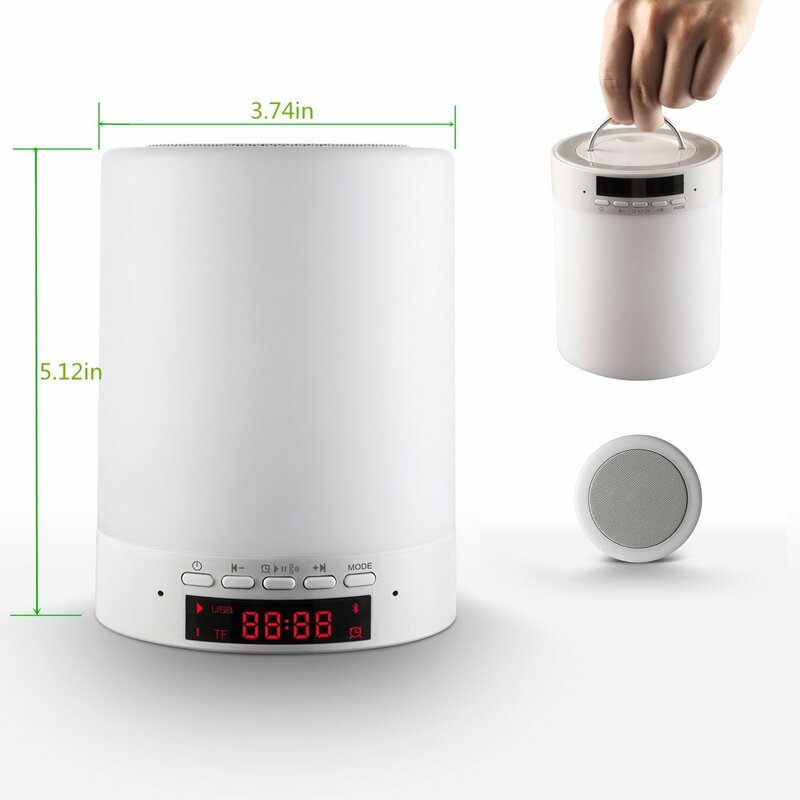 Best Gift: Multi functional creative and modern design make it to be your best gift for any occasion,it is completely portable and easy to pack away.perfect for home,spa,,dorms and baby room.Also allow the couple to create a romantic atmosphere/surprise. 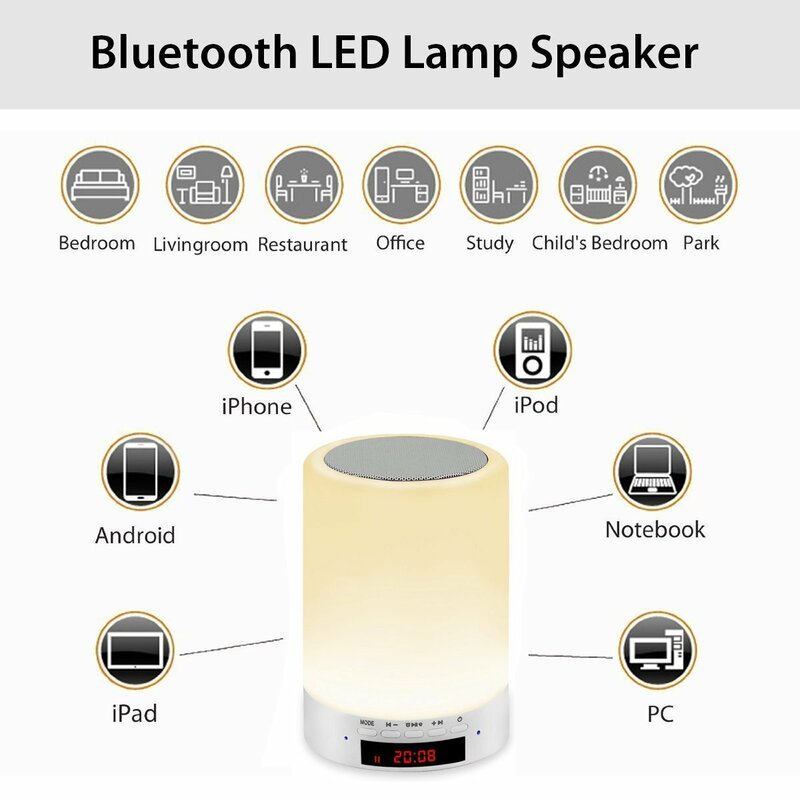 Color Lamp:48 lights color change with the rhythm of music.